S/Sgt. 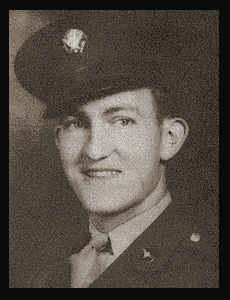 J. Herschel Morgan, son of Leslie Morgan, graduated from Hollister High School and Okla. A & M; husband of the former Ruby Thorlton. Entered Air Corps in Aug., 1942, trained in Sheppard Field, Texas and Chanute Field, Ill.; served in Calcutta, India and China; is now on duty in China. Awarded Good Conduct Medal.